Clusters of tiny pink flowers grow on the bare rock and dirt beside the trail. If you don’t look close you might not see it at all–it is that small, and blends in with the reddish hue of the rocks. The flowers rise from a nest of long, strap-like leaves. Where found flowerless, the leaves look rather like a sea anemone with lean, purple-tinged arms. 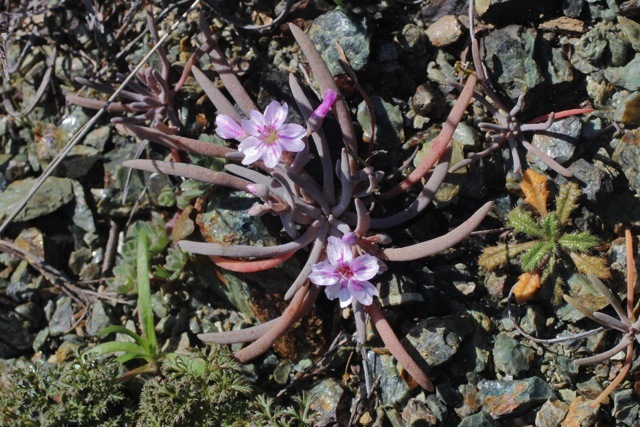 This is serpentine springbeauty (Claytonia exigua), a diminutive plant that is adapted to survive in the harsh chemistry generated by this type of soil. 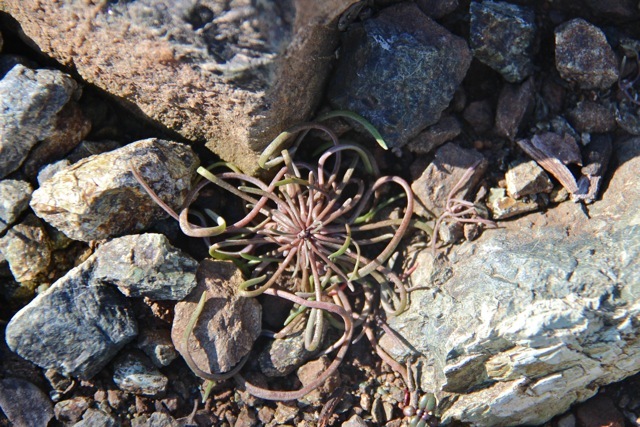 It can be found on rocky slopes of serpentine, shale and sandstone.